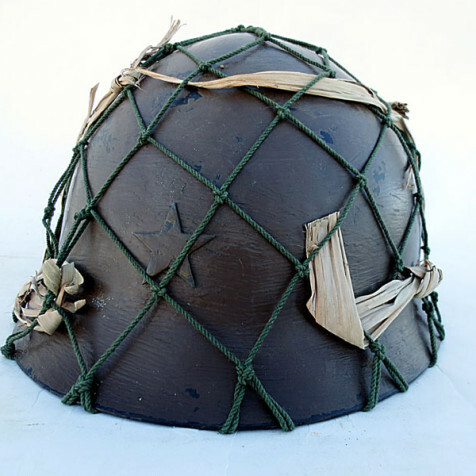 This Japanese type 90 helmet has been repainted in exactly the manor done by the Japanese factories during WWII. The steel was treated with a chemical black finish, then brush painted with a thick coat of olive brown paint. This color was matched to an original type 90 dating to 1938. The size mark was hand rendered on the back of the helmet’s skirt in kanji script. 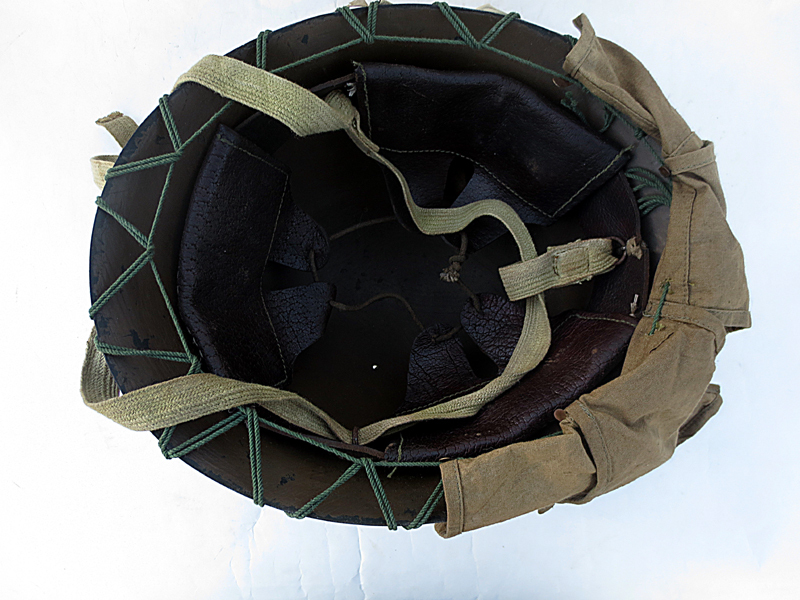 The helmet was then fit with the correct 3-pad liner with gauze pillows. The liner is secured with original split pins. The liner was made with pig skin and has the size mark perforated in the back just like was done on the originals. The chinstrap is a museum quality copy. It has the correct large gauge iron rings, not modern key chain rings everyone else uses. 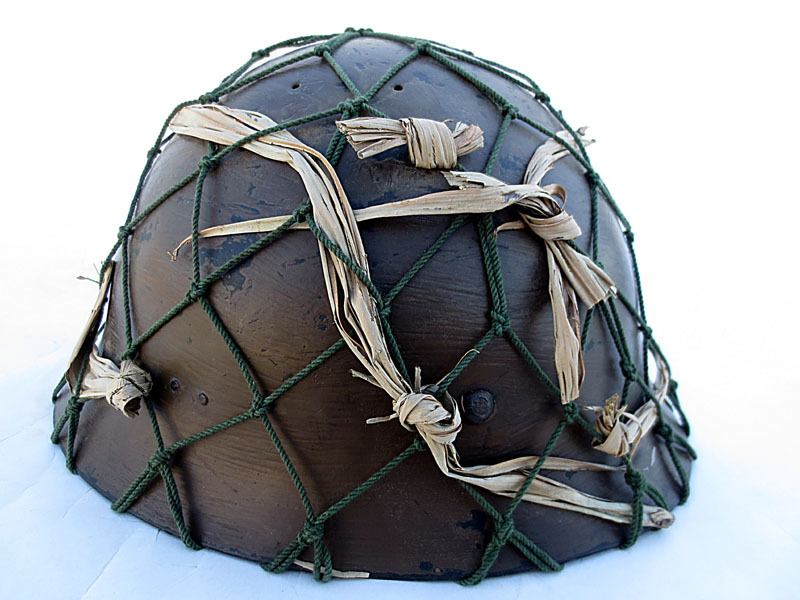 The helmet has been fit with a net, and neck scrim. 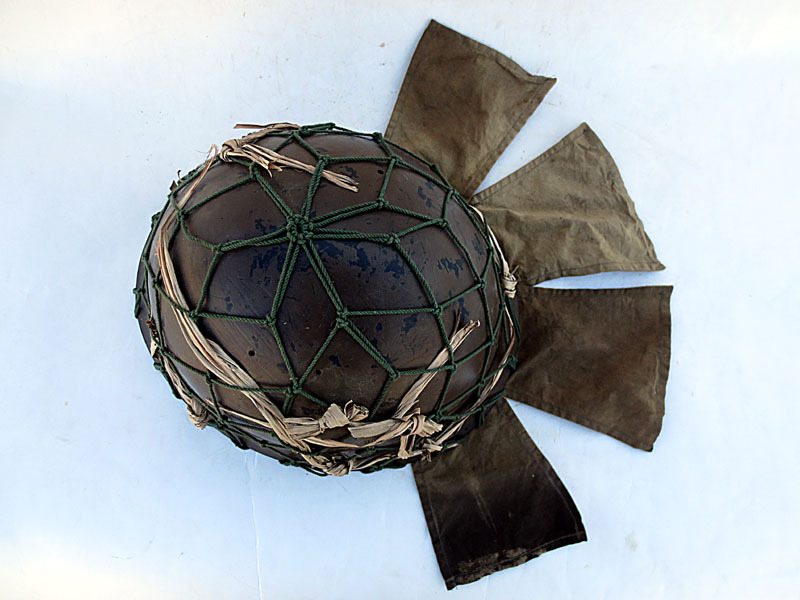 The neck scrim would have been removed from the field cap. 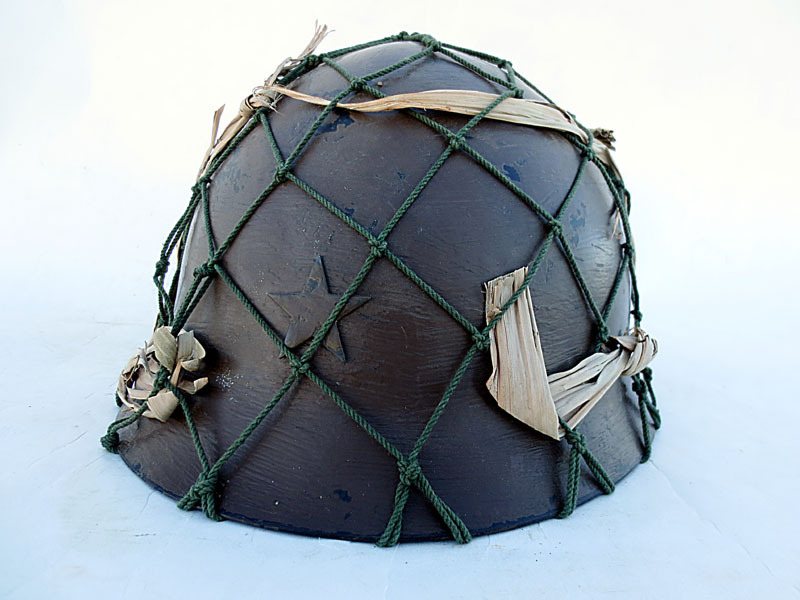 Original photos show the field caps were often worn under the helmet, but due to the extreme heat of the South Pacific some Japanese soldier removed the scrim from the field cap and attached it to the helmet. In original photos the use of the neck scrim seems to have been particularly common in Burma but it shows up in pretty much everywhere the Japanese fought. The net has had bits of palm fronds woven into it as was a common Japanese practice.